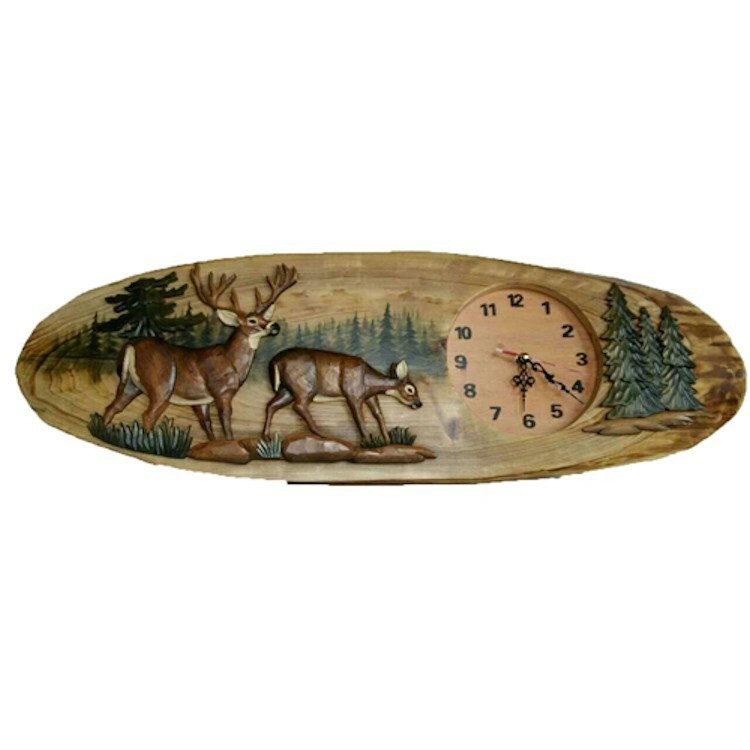 A whitetail buck and doe enjoy an afternoon snack on this Carved Deer Wall Clock. Made of pine with hand carved deer. What a great addition to your any room in your home.